There has been a power shift in the buying process. Advancements in internet and mobile technologies put the power into customer’s hands. The old model of “product and price” doesn’t work anymore. Customers have real-time access to a multitudinous array of information and options for everything they buy. So customer experience has risen to the forefront and become a key differentiator. See how you can make your contact center a driver of positive customer experience. 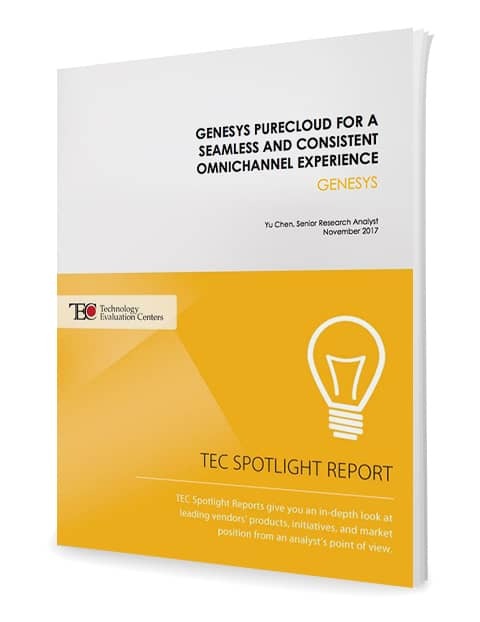 Download the TEC Spotlight Report today.